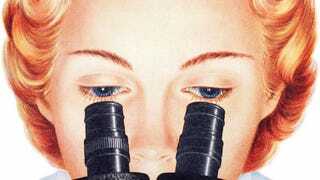 It’s familiar knowledge that women are underrepresented in the sciences. Despite the fact that girls express equal interest in math and science to their elementary school classroom counterparts and women enroll in undergraduate and graduate programs in equal numbers to men, STEM programs, more than others in academia, have a harder time retaining women. Indeed, despite programs designed to interest girls in STEM, GoldieBlox, and supermodels celebrating the virtues of coding, the fields are still overwhelmingly male and seem virtually resistant to change. Jahren, a geochemist and geobiologist, argues that the problem is hardly one of enthusiasm, but rather widespread sexual harassment in the fields that, unsurprisingly, goes unpunished. Since I started writing about women and science, my female colleagues have been moved to share their stories with me; my inbox is an inadvertent clearinghouse for unsolicited love notes. Sexual harassment in science generally starts like this: A woman (she is a student, a technician, a professor) gets an email and notices that the subject line is a bit off: “I need to tell you,” or “my feelings.” The opening lines refer to the altered physical and mental state of the author: “It’s late and I can’t sleep” is a favorite, though “Maybe it’s the three glasses of cognac” is popular as well. The kind of sexual harassment Jahren describes is hardly that of a Mad Men episode: groping and outright dickishness are easier to label and condemn as sexual harassment (and it’s worth noting that STEM has a problem with that too). Rather, it’s the kind that prioritizes men’s feelings, and their expression of them, over the simple act of treating a woman as a professional colleague. Jahren persuasively argues that the persistence of this kind of behavior—the constant demand from both male colleagues and academic advisors that their feelings be acknowledged and legitimized—is one of the reasons women leave STEM fields. From my own experiences in academia, I imagine that women outside of STEM and in nearly every academic discipline could tell similar stories. And frankly, that’s why Jahren’s essay is simultaneously so enraging and depressing: if academia is supposed to be home to philosophically liberal and enlightened values, then how has the broader project of feminism failed to find much traction? Female colleagues aren’t simply sitting around waiting for a romantic declaration, which is what both the offenders and the defenders seem to believe. The expression of romantic feelings, without consent or encouragement, has little place at work, ultimately. While an unexpected passionate love letter might flutter hearts on screen or page, in real life, it tends to be demoralizing and creepy. But, as Jahren argues, it’s typical of being a woman in STEM; enduring such declarations is part of the unwritten job description. Frankly, it’s no wonder so many women leave STEM. With an already heavy workload, the addition of constant tactical monitoring and emotional negotiation sounds exhausting.